IKANO Power Centre: UP to 90% discount for Armani Exchange, Levi's, Calvin Klein, Billabong, Roxy and Quiksilver! is having sales of up to 90% OFF for branded apparels! 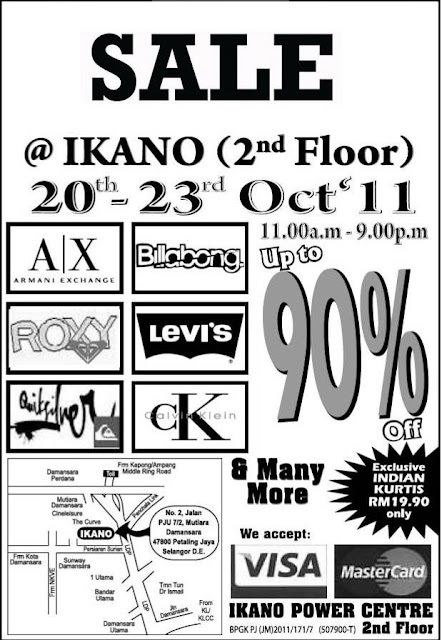 Items on offer includes Armani Exchange, Levi's, Calvin Klein, Billabong, Roxy and Quiksilver!